This entry marks the start of a new series on the basics of how cars work. Now, I drove for a long time before I learned how an engine works. Phrases like “blew a gasket” and “torque converter” might as well have been old Icelandic sayings. Looking under the hood of my car felt a bit like looking at a bird’s nest or a Rorschach blot: oh, that’s interesting …I wonder what that could be? Why did I never bother learning about cars? First, no one in my family is really a “car person,” so I didn’t have a parent or older sibling who could teach me. Second, the mechanical complexity of a car seemed both boring and intimidating. Finally, it just didn’t seem important. Now that I am a more enlightened driver, however, I realize that knowing about how a car works is worth the bit of effort and time it may take to understand some of the mechanics. Even those of us with only the haziest recollections of high school physics can still grasp the fundamentals of how a car functions. 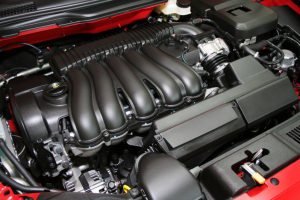 Knowing this not only gives you a greater appreciation for the mechanical marvels contained in your car, but also equips you with basic vocabulary and diagnostic tools that will come in handy should something go wrong with your car. Having a greater awareness of how my car works also helps me to take better care of my car and to be a better driver. I feel more secure behind the wheel now that my car seems more like a mechanical marvel and less like a complete mystery. If there’s a topic you’d particularly like to see featured that isn’t on this list, post a comment and I’ll see what I can do.